I love dating. I love dating my husband. I loved dating before I got married. 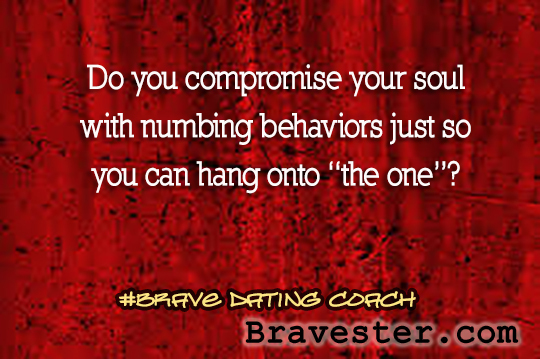 Dating is getting to know healthy but flawed people who share your values and esteem for marriage. This is what I believe about dating. You’re lonely. Loneliness is real. Something is not wrong with you because you are lonely. Choosing dates from a lonely place draws you to people who can’t connect. Dating is not the kind of relationship that cures loneliness. Relationships that resolve loneliness must have certain elements such as safety, unconditional love, and deep commitment—things not found in dating. Do you have a team yet? Your team is your best ally when it comes to the realness of loneliness. All of your friends have boyfriends/girlfriends. Oh really, all of them do? If it is true that all of them do, this does not mean you should match yourself with someone you are settling with to fit in. Your friends already really like you. Watching you settle for someone less than you is actually hard on your friends. Don’t put them in that situation. Those same friends will do everything they can to help you not feel like a third wheel because they like you. You want to feel loved. You think that a boyfriend/girlfriend will put you first. You get to give and get gifts on Valentine’s Day. He or she will be there for you when you’re feeling down or upset. He or she will always be thinking about you. None of these will be true if you are contorting yourself into a relationship to keep the relationship so you can feel loved and get that Valentine’s Day gift. Some of that behavior you are accepting, justifying, contorting is probably disrespectful to you. Yet you stay because you think you are loved. Be brave. Find someone who loves you, not the contorted version of you. You want to feel worthy. If you have a boyfriend or girlfriend, then that will prove that you are worth something. Really? See “You want to feel loved” (above). You couldn’t say no. Maybe the guy you’re dating asked you out and you didn’t want to hurt his feelings so you’ve continued with this contorted relationship. Maybe you are dating the same girl because you are afraid of the confrontation to break up. You are afraid to shake up what has become normal. You are afraid of her reaction. Be brave. The awkwardness is worthwhile on the other side of it. You can push through the awkwardness. You want to make someone jealous. Maybe it’s another guy you like or it’s a girl you don’t like, and dating this guy will hurt them. Dating’s no big deal, right? After all, you can break up with this guy when the job’s done. Oh the layers of deceit in this one. Just don’t. You need a rebound. You broke up with another guy or woman and it hurt, so you opt to date someone else to ease the pain. Or maybe you want the man or woman who broke up with you to know that you’ve moved on. Seeing this in writing just doesn’t sound right, does it? That is because it isn’t right. Don’t do it. Also, notice that in every reason you are finding yourself devalued because you are contorting yourself to be in a dating relationship. Who is devaluing you? You. Please don’t. Something is not wrong with you. You are loveable. Celebrate your life. Celebrate your life with your team. Love will find you. Who is keeping up with you? Not who are you settling for.